← Is Crowdfunding just charity without the tax concession? I have had a crazy few months since my last post. My apologies for the absence. I have also had severe writer’s block – not because I do not have things I want to write about, but because I get overwhelmed about all my potential blog post ideas running around my brain. I have also “met” some interesting Mums. I “met” in that place where so many people now spend (too much?) time – Facebook. I’ve been trying to upgrade my skills and understanding of this technological and cloud age that is very foreign to me. This has brought me into the circles of women in business at various stages on that pathway. I want to tell you about one of the Mums & her product. I have wanted to share this for weeks now. This lady’s name is Leanne & her product is called the Cozy Dozee. See her website for videos and product links – http://www.cozydozee.com. I really wish either I had thought of making something like this for my kids or had been able to buy it when they needed it (we are past this stage now). What is the Cozy Dozee? 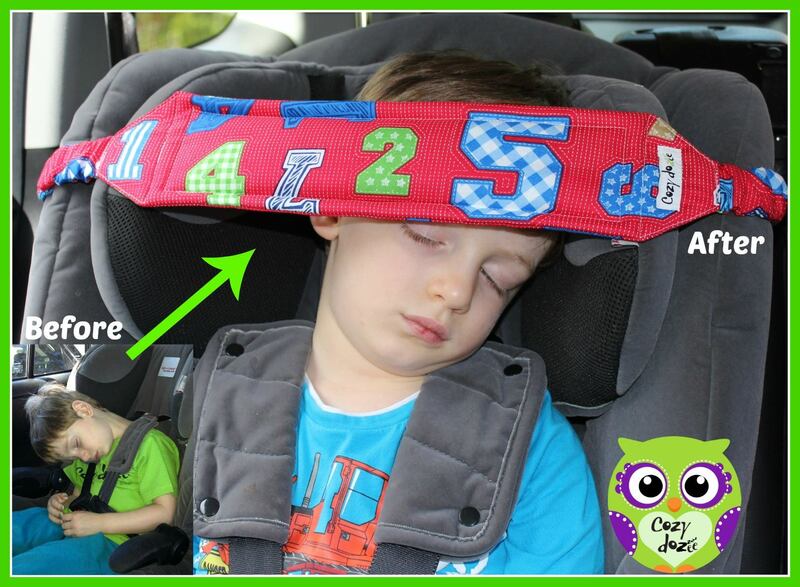 – well, a picture really does paint a thousand words but basically it helps you keep your child’s head in a comfy & better aligned position so that it does not flop about while they sleep in the car. Simply put, Cozy Dozee is a gentle head support for sleeping children in the car. – reduce parents stress levels and distraction on the roads. So many mothers become inventors out of necessity or perceived necessity and so has Leanne. I doff my hat to her and all Mothers of invention. Mother to two beautiful girls (both home birthed & home schooled), wife, Raw food (vegan) chef & coach, Permaculturalist, activist.